You need to write an essay, a report or a thesis in which you analyze data? Today students are confronted with handling large amounts of data in virtually every academic discipline, but wouldn’t you like to be the one to do it the smart way? 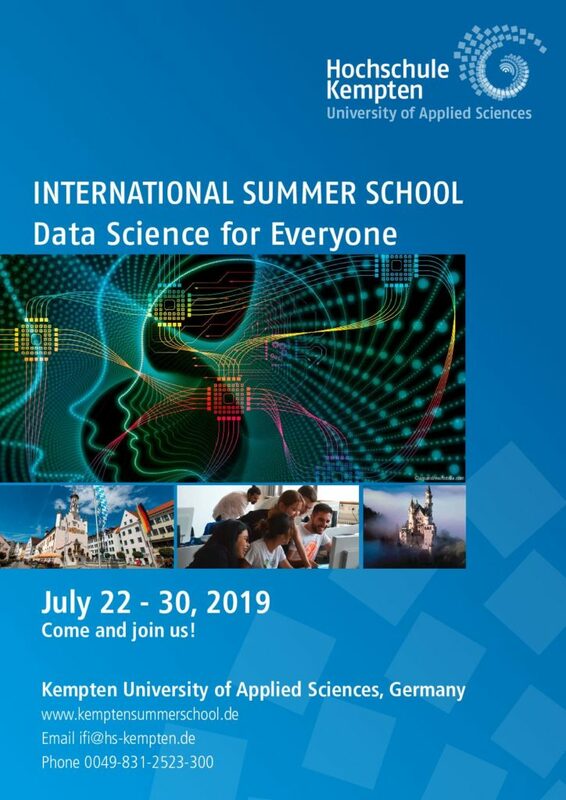 Welcome to our summer school “Data Science for everyone” at Kempten University! We will introduce you to some very convenient and free tools and show you to some of the latest trends. And we will even show you how to make your work reproducible for the rest of the world. 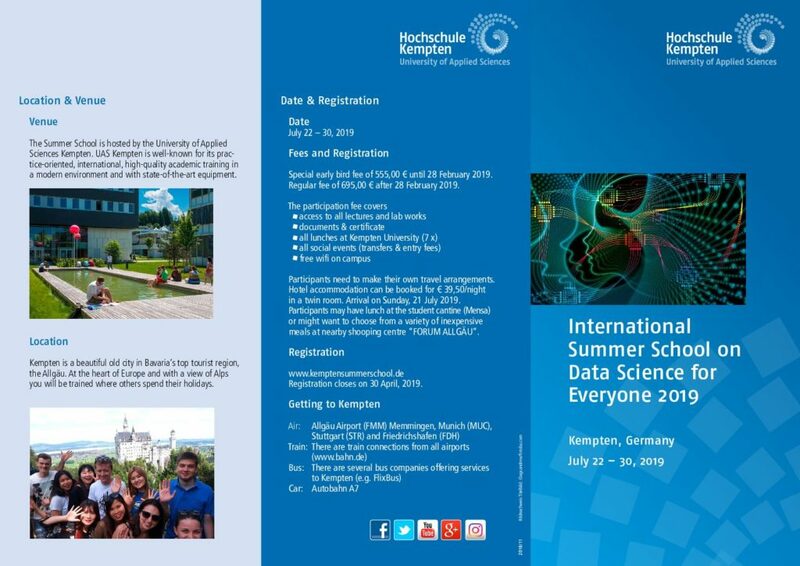 “Data Science for Everyone” is hosted by Kempten University of Applied Sciences, well-known for its international, high-quality academic training in a modern environment and with state-of-the-art equipment. Benefit from international lecturers with extensive practical knowledge. Part of the practice-oriented program is also a visit to two of the highest performing companies in Germany, such as BMW and BOSCH. Be part of a fascinating social program. 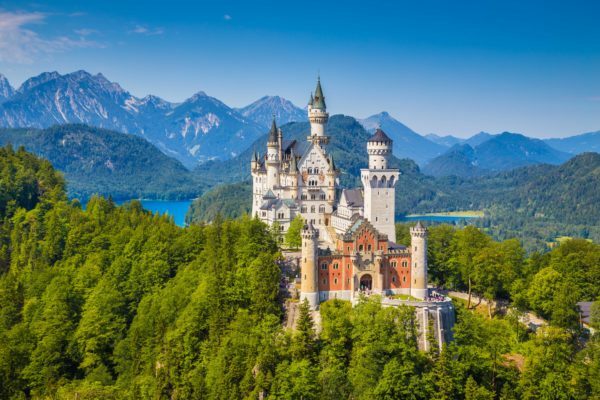 Get to know the famous fairy tale castle Neuschwanstein next to the Bavarian Alps, the city of Munich and enjoy the beautiful historic town of Kempten, oldest city in Germany, founded by the Romans. 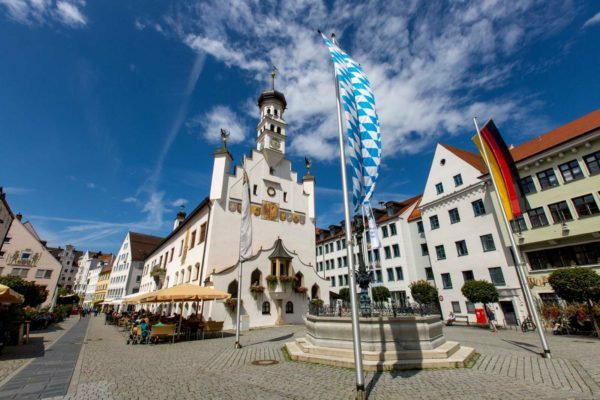 Have a great time out, chill or experience Kempten’s nightlife together with our German and international students. Have a great summer!